For me, Far Cry games are characterised by the way they can emerge the player in their amazing environments. Far Cry 4 is coming, and it trades in Africa and the typical tropical locations for something just a tad more icy. 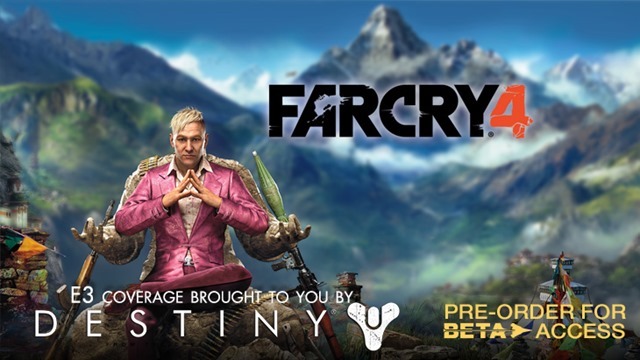 Ubisoft kick off their conference with their latest Far Cry, set in the Himalayas. Far Cry 3 had an incredibly memorable enemy by the name of Vaas. He demonstrated just how mad and far gone a human being could go, and it made him really memorable to gamers. The video shown off by Ubisoft gives some insight into the protagonist, and he really seems to be evil as hell. The games always give some really crisp visuals, and Far Cry 4 really looks like it will deliver in that department. Ubisoft really set off their show in good spirit, and it will be interesting to see what follows.